Like it or not, the accounting function is in the news distribution business. The demand for financial performance information is high and the pressure for more timely information is even higher. 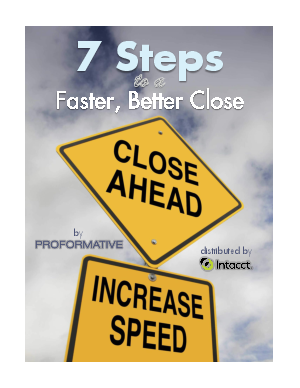 A fast close improves the timeliness of information, aids decision making and is a value-enhancing proposition for the business. To continue adding value, the CFO and controller must find ways to speed up their financial close processes and report financial results before they become old news.